powerfully supports Earth’s claim that if “spring” is denied, then how can buds and blossoms grow? So she (Earth) is saying that until such time as human beings (especially those who are victimized- women, slaves, children) are truly freed from tyranny there is no chance that they will wake-up to make real sense of the Ancient Bard’s message. So Blake in fact has it two ways in these poems: he uses the “Introduction” to introduce the key idea of the Songs of Experience that this is a wake-up call to all who have lost their innocence; he uses “Earth’s Answer” to say forcefully why tyranny of all kinds in the world is something that really needs to be addressed if there is to be a world full of freedom, openness and “spring”. 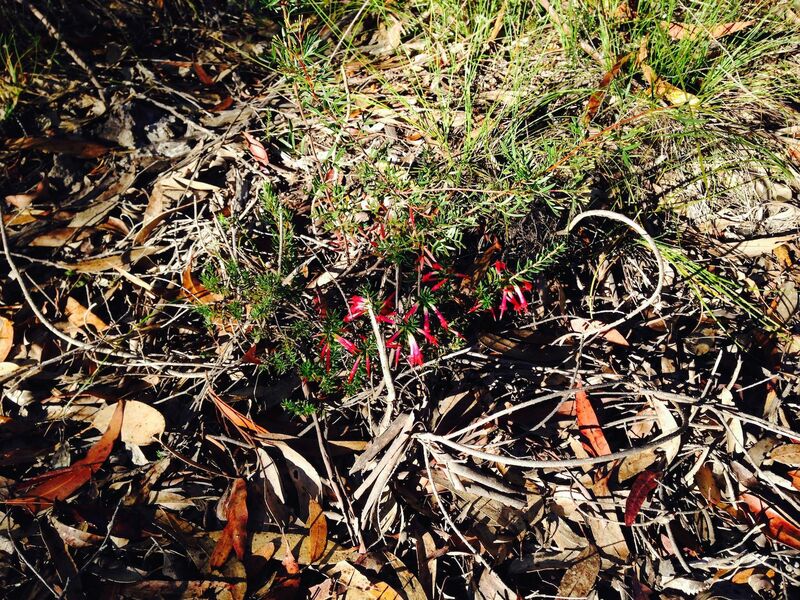 Irresistible Spring in Sydney- Native Fuchsias bursting out of the ground. 1/ Can art transform the world? Have a think about this from what you know of the impact of art, artists, writers on the global situation. Write a short paragraph that expresses your thoughts on whether you think it is possible for artists, writers, musicians to have this kind of power. 2/ Take a single line of a Blake poem and use this as a building block for a poem of your own. 3/ “London”- do the insights that Blake applies to the London of his times have any relevance at all to the Sydney in which you live? Write a short paragraph or compose a short poem that gives your sense of the relationship of your modern city to the Blake’s “London”. 4/ Find a paragraph in one of Blake’s letters that captures for you the essence of who and what Blake was for his friends or enemies. Briefly describe what you think is being said in the paragraph of your choice. 5/ Imagine yourself as one of Blake’s closest friends. Write to him, telling him what you really think about one of the poems workshopped in today’s classes. 6/ As always, create your own topic. 7/ Be sure to make a supportive peer review on the WordPress journal of one of the students in the group as a whole. Be sure to remember to cut and paste your comment and make it into a fresh post in your own WordPress Literature Journal. Hi Michael. Thank you for including a link to my post on Earth’s Answer. I love Blake’s work and I hope that my thoughts can help inspire your students. Have a blessed and creative day!! No problem Jeff- you have a great blog and my students certainly learn a lot from the passion that drives it. Many thanks.